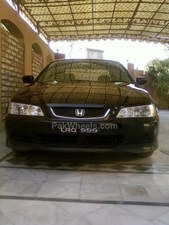 Honda Accord for sale in Islamabad - Pak4Wheels.com - Buy or Sell your car in Pakistan. The price is slightly negotiable and the car is a wonder car . CF-3 lovers must not miss the chance to buy this car though milage is high but the condition is really good. Since its import in 2003 it has been running on Islamabad roads.